Tomlinson Library | Colorado Mesa Univ. 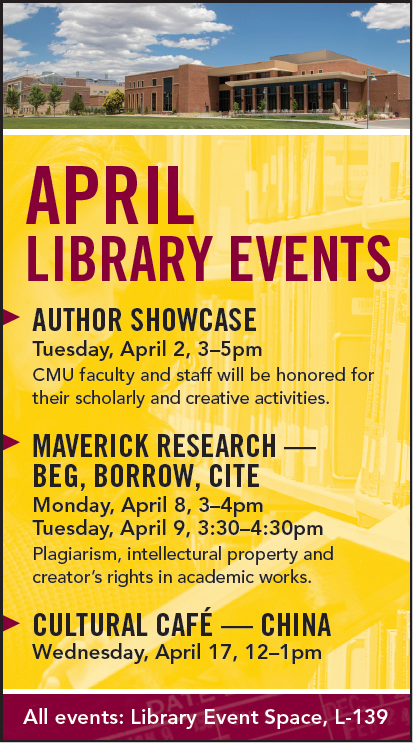 Welcome to John U. Tomlinson Library, where our CMU community gathers to explore our many research resources in a welcoming, supportive environment. Search Tip: Use this search to locate a specific journal or magazine by title. Need articles about a specific topic? Try the Articles tab.